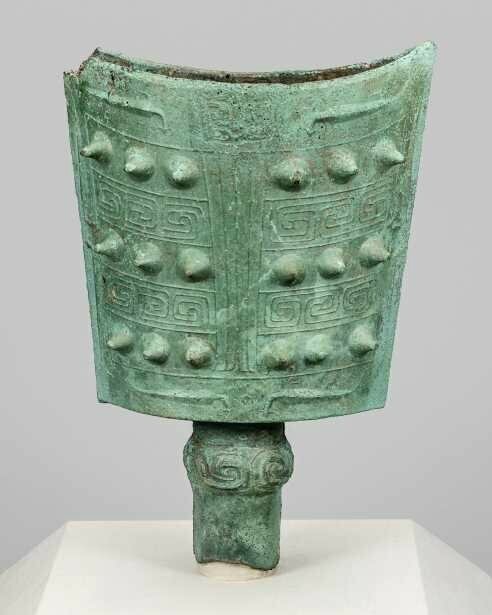 Bell (nao), Western Zhou dynasty (1046–771 BC). China, probably Hunan province. Lucy Maud Buckingham Collection. © The Art Institute of Chicago. CHICAGO - Chinese bronzes of the second and first millennia BC are some of the most distinctive achievements in the history of art. Exquisitely ornamented, these vessels were made to carry sacrificial offerings, to use in burial, or to commemorate family in public ceremonies. 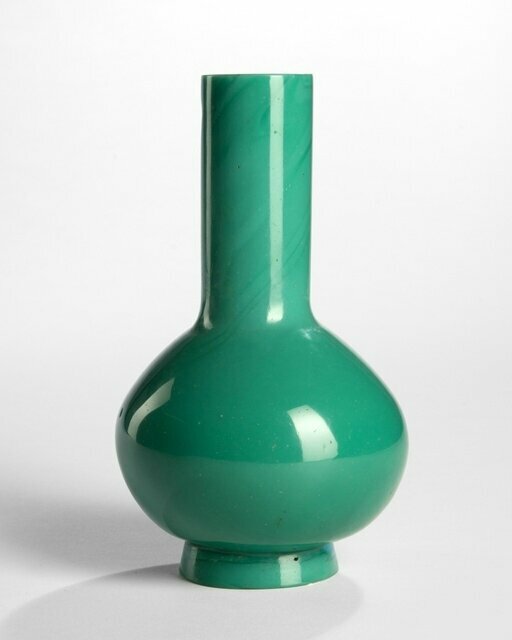 When they were found by emperors centuries later, these spiritually significant objects were seen as manifestations of a heavenly mandate on a ruler or dynasty and became prized items in imperial collections. This exhibition—the first to explore how these exquisite objects were collected and conceptualized throughout Chinese history—presents a rare opportunity to experience a large number of these works together in the United States. Wine Bucket (Xiao Chen Xi you), late Shang dynasty (13th–11th century BC). China. © The Shanghai Museum. 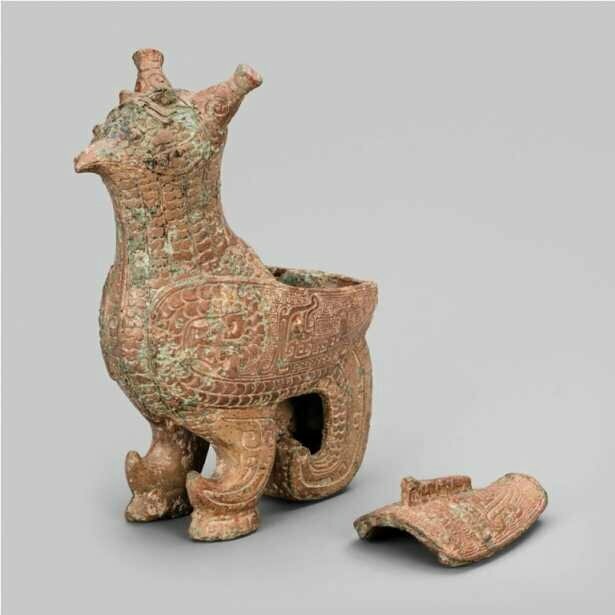 Unlike Greek and Roman bronze sculptures of human and animal forms, most objects from Bronze Age China (about 2000–221 BC) were vessels for ritual use. 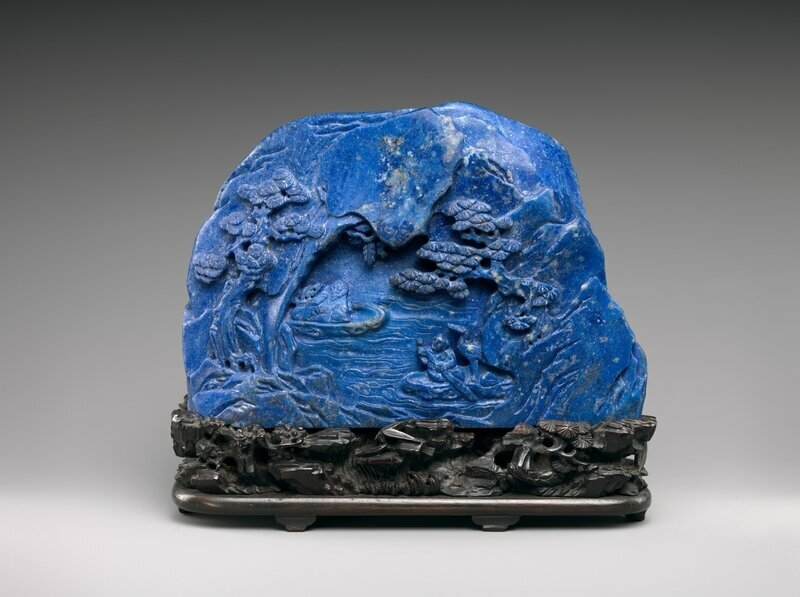 Beginning with the Song dynasty (960–1279), emperors unearthed these symbolic works and began collecting them, considering them to be evidence of their own authority and legitimacy as rulers. Several 18th-century portraits of Emperor Quianlong include his bronze collection, demonstrating how ancient bronzes came to play a critical role in imperial ideology and self-fashioning. In addition to impressive collections, the royal fascination with bronzes led to the creation of numerous reproductions and the meticulous cataloguing of palace holdings. These catalogues are works of art themselves, featuring beautiful illustrations and detailed descriptions of each object. 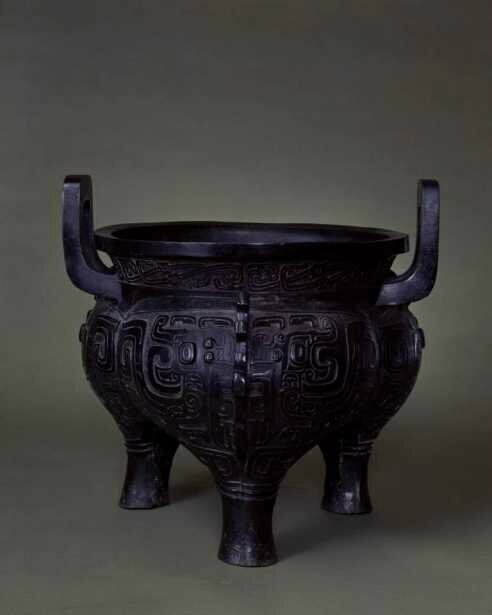 Lobed Tripod Cauldron (Shi Yin li), Mid-Western Zhou dynasty, 927–850 BC. China. © The Palace Museum, Beijing. Artist Unknown. 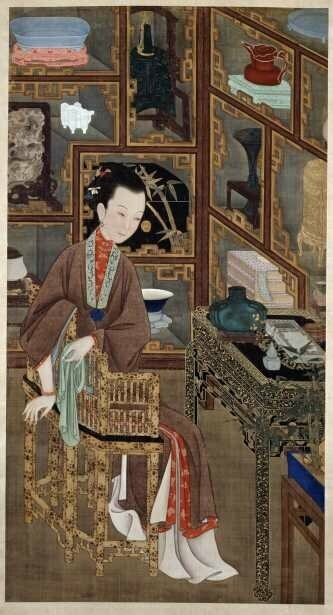 Court Beauty, Qing dynasty, late Kangxi reign (between 1709 and 1723). © The Palace Museum, Beijing. February 25, 2018–May 13, 2018 - Regenstein Hall. Wu Dacheng. Collected Antiquities at Kezhai Studio (Kezhai jigutu), before 1892. © The Shanghai Museum. 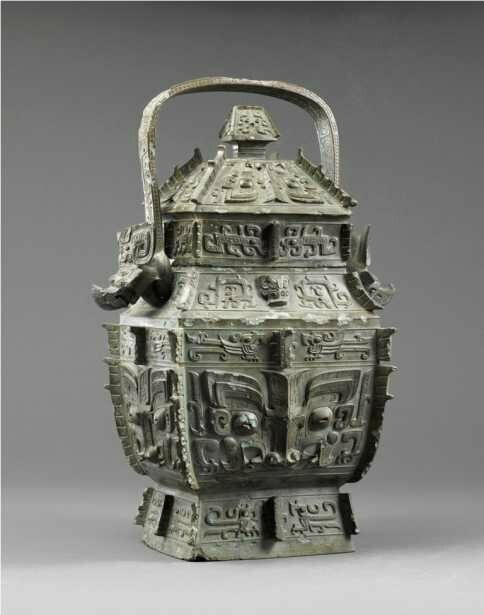 An archaic bronze ritual wine vessel (zun). late shang dynasty-early western zhou dynasty, 11th century bc.